The first month of 2017 is over! We hope the new year has given you opportunities to try lots of new vegan food as per our MiniMoFo prompt. It’s been great to see the posts and pictures that have been shared! Garrick used a new-to-him krumkake machine (passed down through his family!) 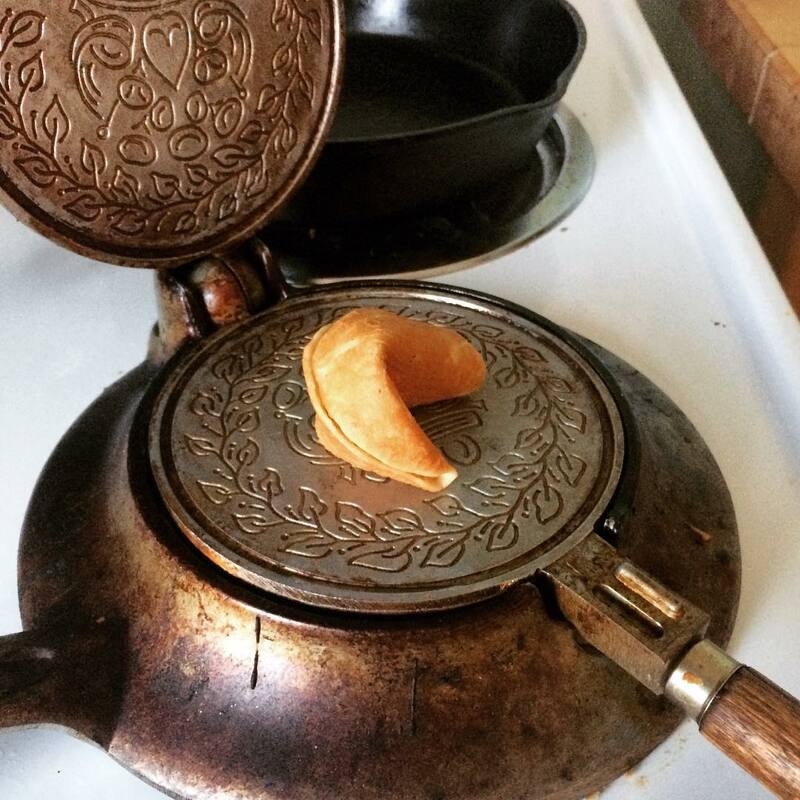 to make fortune cookies. Isn’t it a beautiful piece of equipment? 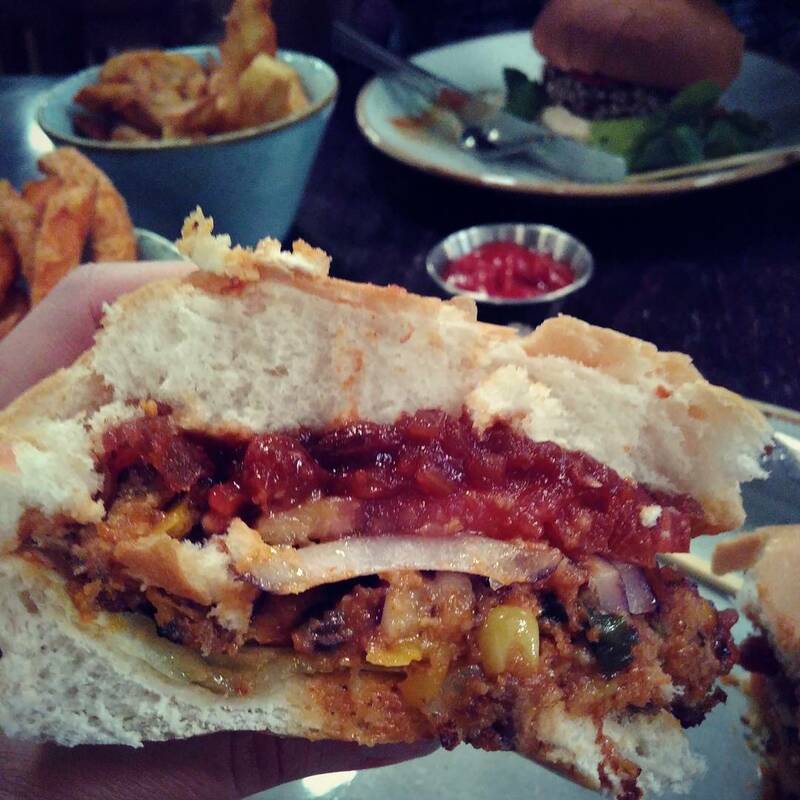 The Mad Hatter’s Pantry visited a burger restaurant which was doing a discount on vegan food. They had a cajun burger and oreo milkshakes – all vegan! It’s great to see restaurants trying new vegan food. Rachael has been posting a step-by-step guide on “How to Go Vegan”, which includes the task of “trying new foods”. 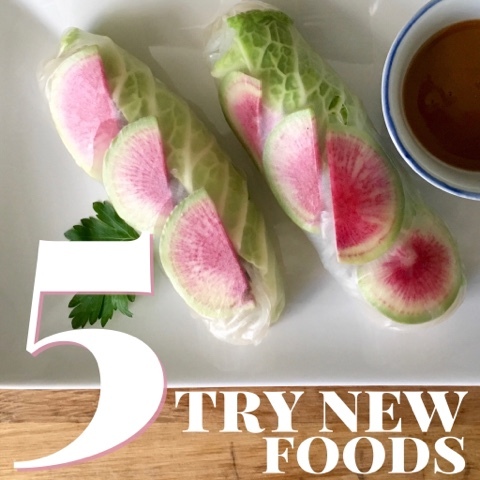 She made beautiful spring rolls stuffed with watermelon radishes! 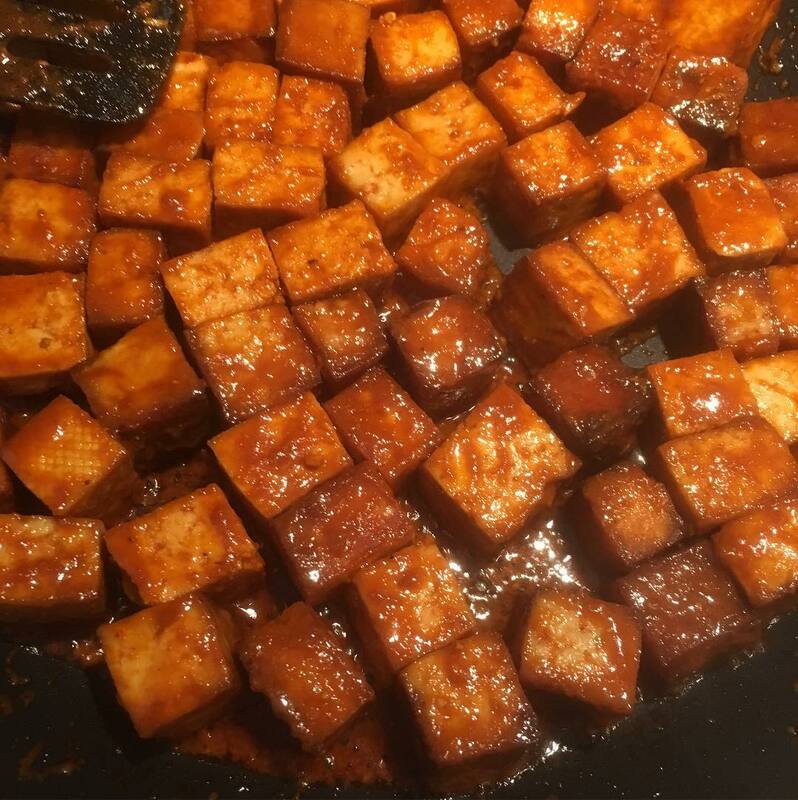 Zuckerbaby made buffalo tofu for the first time, and doesn’t it look mouth-wateringly delicious? Jen from the Deer Run Bed & Breakfast produced this amazingly informative video about “fire cider”. I’ve never heard of it before, but it certainly sounds interesting! 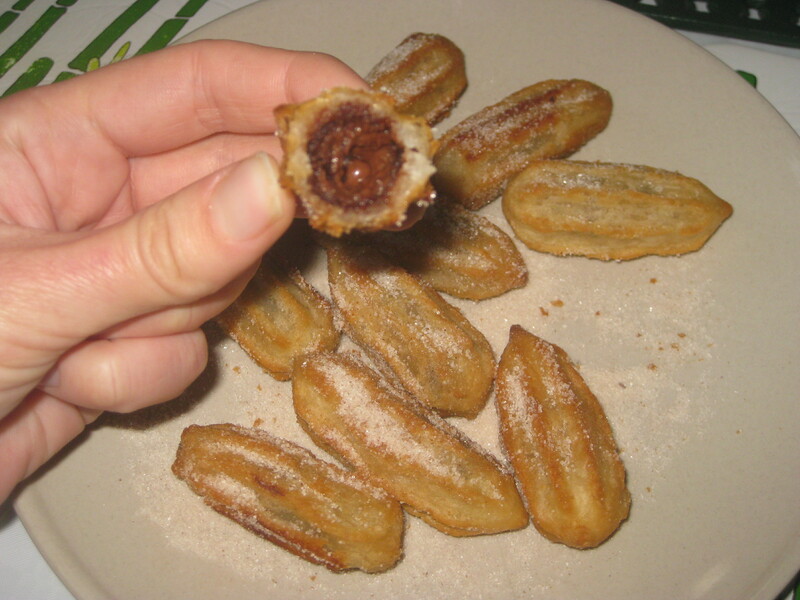 Jenny did a blog post with new vegan products she’s tried – including these chocolate filled churros – yum! 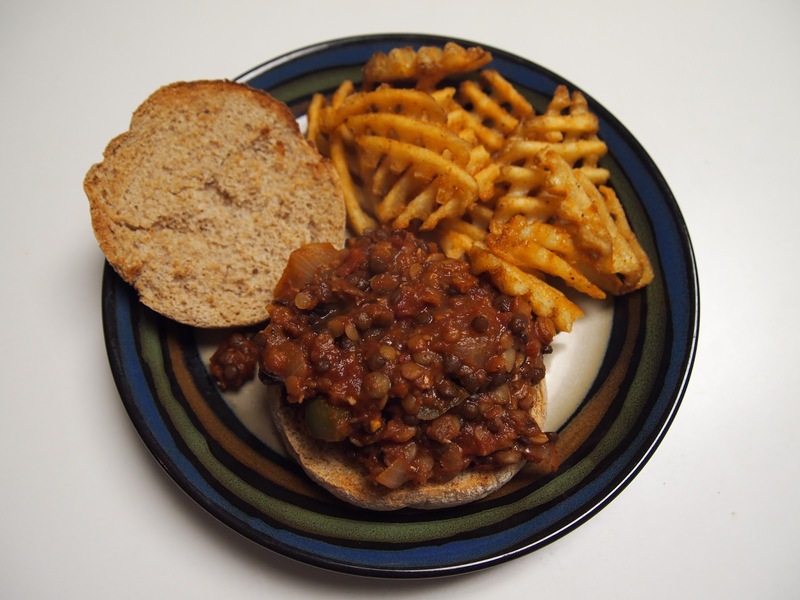 Julie has been trying a new recipe each week this month, including these Lentil Sloppy Joes served with waffle fries. Thank you to everyone who participated in this month’s MiniMoFo! It’s been wonderful reading about all the food you’ve been eating. Looking forward to February, we’re going with a coloured theme – Red. As usual, interpret this any way you want – red meals, red ingredients, even red cutlery – just show us something with the theme of “red”. Remember to tag us on Instagram, Twitter, and Facebook with the tags #VeganMoFo and #MiniMoFo!